We do not remove players from our database! So if you can't find a player because they've blocked their stats on one of our competitor sites, you can find them here. At our site you can check SNG and tourney player statistics for all players at Absolute Poker, Full Tilt Poker, PokerStars, Ultimate Bet, and Party Poker. We offer the stats you want, such as the amount of money a player has won or lost over time, how often a player wins or loses, and what buy in levels a player typically plays. We've eliminated the cumbersome typing of player names (it is 2008!) and instead offer one click software to scan the entire table and then produce a heads up display that is placed right on your poker table. This combination of ease of use, and the stats you want to see, makes StatsForPoker the best choice for player tracking. All of this information is available through the software our customers receive. With this software you click one button, then the software scans the entire table and automatically presents the statistics in the manner you choose (on the table, or within the software, or both). Before you sit down at a table, find out the skill level of your competition. Sure you can probably beat the best players more often than not, but to truly make great money at poker, it's best to indentify the "easy money" and then take advantage of it. Once you are actually in the game, try to get in hands with the weaker players and avoid the better players if possible. They weak players can increase your chip stack quickly! There is nothing better than doubling up early in a Sit N Go. Another good way to use StatsForPoker is to identify the good players, then watch how they play to pick up pointers to help your own game. Knowledge is power, by knowing more than your opponents you will instantly have an advantage. You can then use this knowledge to gain a chip lead. 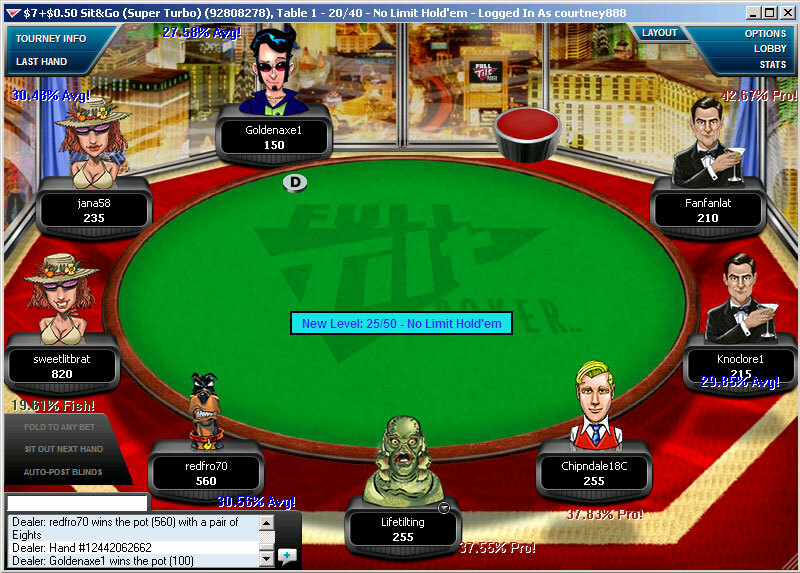 If you don't have StatsForPoker, the player across from you may! We are so confident this will help your game and make you money that if for any reason the product does not work as advertised within 30 days of purchase, we offer you a 100% Money Back Guarantee!! We'll put our money where our mouths are so you can put money in your pocket.